NickLannon.com: Lance Armstrong Redeems...Lance Armstrong? As I write this (Wednesday, January 16), Oprah Winfrey has confirmed that, in an exclusive interview taped on Monday to air on Thursday, Lance Armstrong has admitted to the use of performance enhancing drugs. At this point, this is a total snore. With the baseball writers' recent decision to not vote a single player into the Hall of Fame (some simply for the possession of bacne), PED accusations and confessions are like Beanie Babies: when everyone's got one, no one cares. The Wall Street Journal (online) has a piece in the January 15 issue called "Behind Lance Armstrong's Decision to Talk" which attributes a quote to the athlete, and a response by a bureaucrat, that is decidedly not a snore. In a meeting with Travis Tygart, the head of the United States Anti-Doping Agency (USADA), Armstrong pointed to himself and said,"You don't hold the keys to my redemption. There's one person who holds the keys to my redemption, and that's me." We've covered this human desire before (most specifically HERE), but the fascinating thing about this quote isn't the brazenness; it's the common nature of the refrain. Everyone thinks that their redemption is up to them. Except, maybe, for Travis Tygart. Upon hearing Armstrong's claim, Tygart allegedly responded, "That's b-[expletive]." Now Tygart seems to have simply been calling bull-waste on Armstrong's allusion to redemption in any form, claiming that the cyclist would do and say anything to be allowed to race again. But his initial reaction is accurate. The idea that we hold the keys to our own redemption is total b-[expletive]. 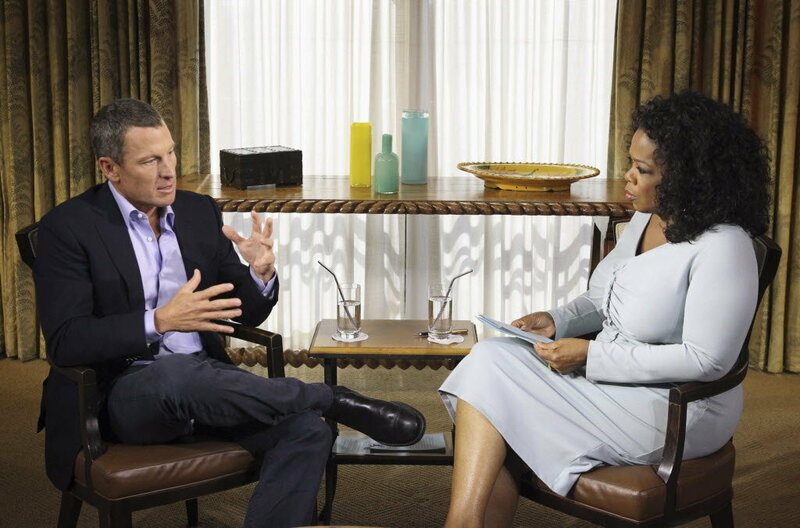 That Armstrong might believe that baring his soul (or, at least, the contents of his medicine cabinet) to Oprah would lead to his redemption is, at worst, cynical in the extreme and at best, evidence of a woefully weak definition of redemption. When Christians talk about redemption, we don't refer to a return to a prior state of good standing. Some do, actually, but such thinking, as Gerhard Forde points out in his seminal On Being a Theologian of the Cross, hinges on the un-Biblical notion of a "Fall." We imagine that we were once at a certain place in our relationship with God, we messed that up, and Jesus gives us the ability to get back. That is, according to Forde, "a tightly woven theology of glory [a theology that "uses" Jesus and the cross to "get" us something, rather than one that sees Jesus and the cross as the end of us, and our resurrection]." The truth is so much better. In our redemption (in real redemption) we are saved to a state higher than we ever had before: we are regarded as one with Christ, as God's own son. If that is the gift, then we cannot hold the keys. And thank goodness, too, because when another (a saving Christ) holds them, our gift is immeasurably more valuable.